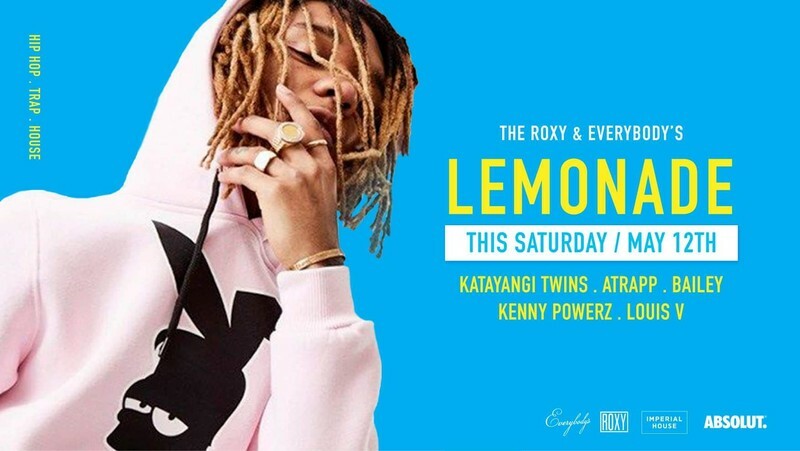 The Roxy and Everybody's presents Lemonade! Join us for our premiere Hip Hop, RnB and Trap night this Saturday featuring some of the best DJ's A-Town has to offer at 2 of Auckland's hottest venues. On the line up this week. Drink specials: Til midnight (try our Absolut Elyx lemonade til it lasts). Giveaways: Check out our Facebook, Instagram and SnapChat for giveaways. Booth bookings: If you wish to book a VIP booth at either venue please do so on our website. "When life hands you lemons make lemonade and add vodka."